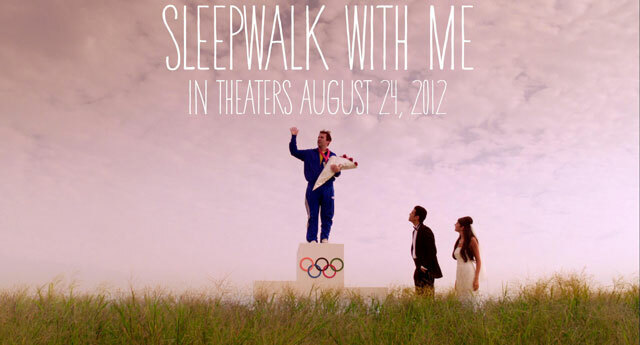 In theatre on August 24 is Mike Birbiglia's film SLEEPWALK WITH ME. 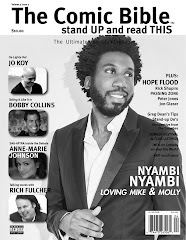 The latest issue of Comic Bible has the story of IFC Films acquiring North American rights and multiple foreign territories to 'Sleepwalk With Me', the directorial debut of comedian Mike Birbiglia. The film premiered to critical acclaim at the 2012 Sundance Film Festival and was the winner of the Best of NEXT Audience Award. Birbiglia and Ira Glass of WBEZ Chicago's This American Life's produced the film along with Jacob Jaffke. Birbiglia also stars in the film alongside Lauren Ambrose, James Rebhorn, Carol Kane, Cristin Milioti, and Aya Cash. Mike is a great story teller as a comedian and that really translated well to the big screen. I thoroughly enjoyed the film. I found it to be both funny and touching. The acting was very good with a solid cast behind the film and the flow of the film was unique but easy to follow. Mike narrates the film from his car from time to time which really added to the overall feel of the movie. This is definitely a movie every comedian who wants to “go pro” should see. The part of the movie that shows Mike’s experience with working the road and starting his career is a pretty clear picture of what comedians should expect. The struggles he faces in different clubs and shows and the stress of the road really does a great job showing the audience the reality of what every comic thinks they want: The life of a working act. It’s definitely a tough long road between doing $100 shows 6 hours away and having your name on the Marquee of the Chicago Theater. This film is a definite must see that’s ability to touch the audience goes beyond those in the comedy industry. Comedy Bang! Bang! Near You! It's a Mad Mad Mad Opportunity!